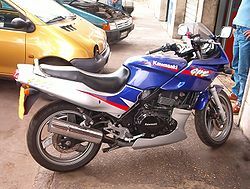 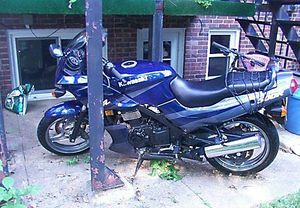 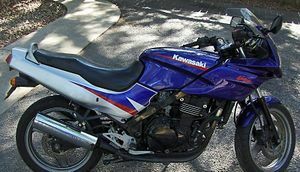 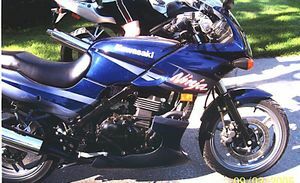 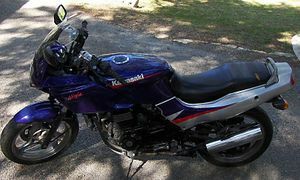 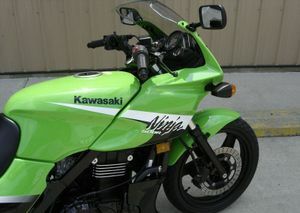 The Kawasaki Ninja 500R (which was originally named, and is still referred to as the EX500) is a 498cc motorcycle manufactured by Kawasaki from 1994 to present. 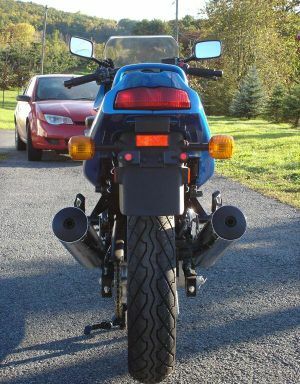 Another image of the post-update version. 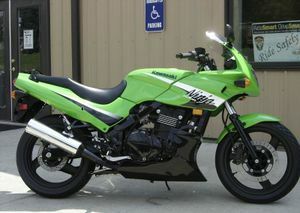 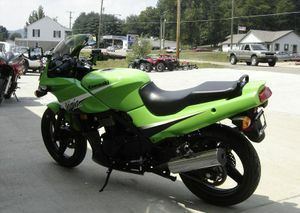 The Kawasaki Ninja 500R The 2006 model has a MSRP of $5,049 USD. It has a liquid cooled parallel-twin engine with a six-speed manual transmission and has a chain driven drive train setup. 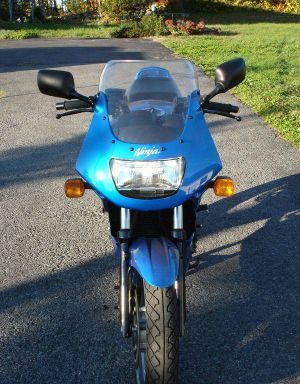 This motorcycle is considered an "entry level" sport bike, but has considerable performance. 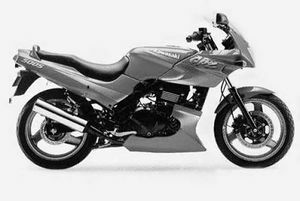 The EX500's parallel-twin configuration provides a combination of power and light weight that has made it popular as an entry level race bike. 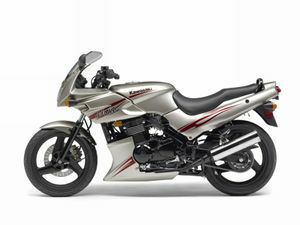 For touring the EX500 has an 18 litre tank, reserve included. 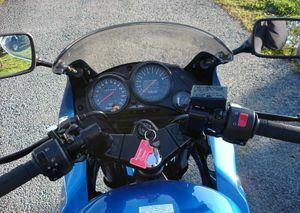 Without tapping into the reserve the range is over 240 km. 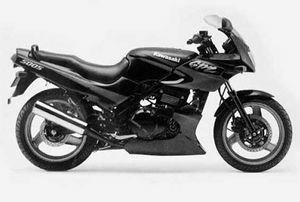 The design was updated in 1994; it has remained essentially unchanged since then. 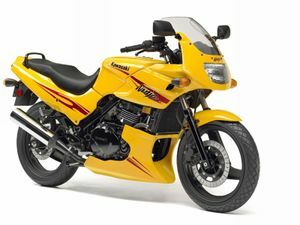 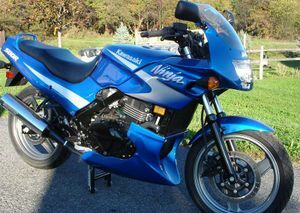 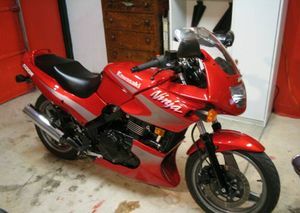 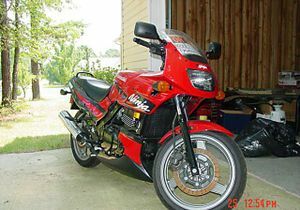 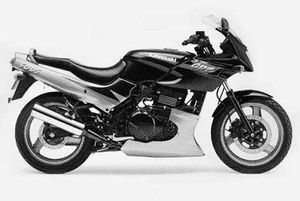 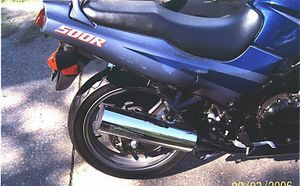 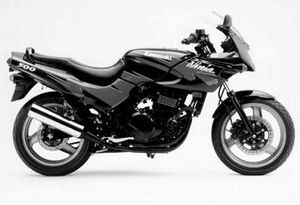 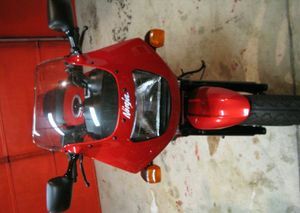 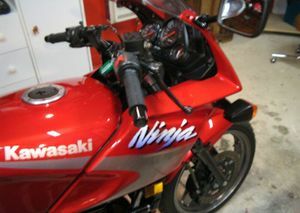 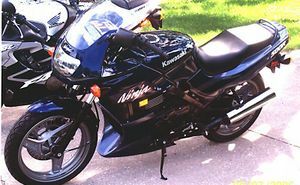 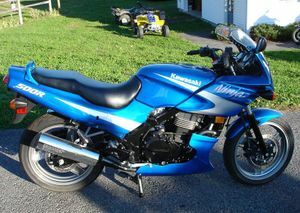 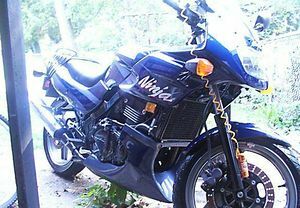 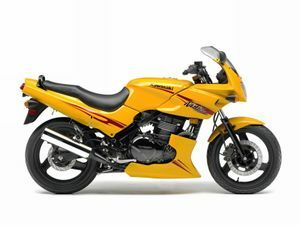 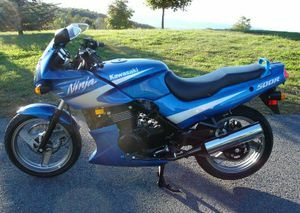 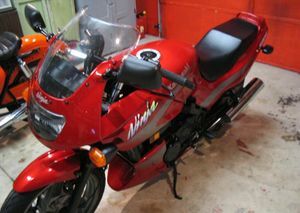 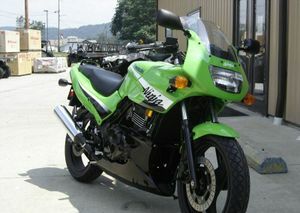 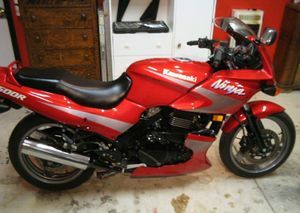 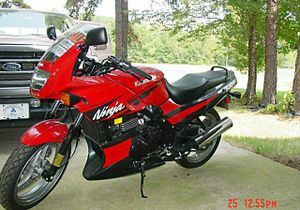 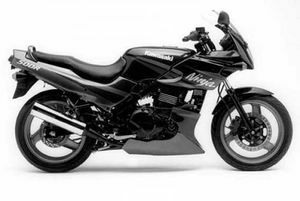 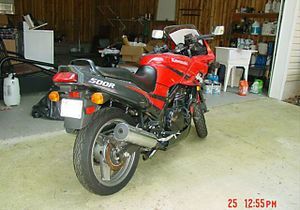 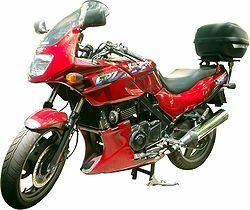 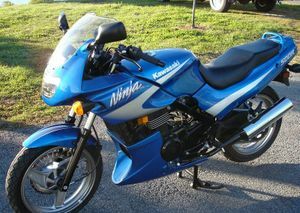 Its marketing name was also changed in 1994 from EX500 to Ninja 500; the R suffix was added in 1998. 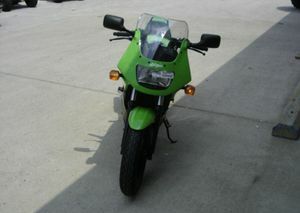 Acceleration, 45-70 mph, top gears: (4) 4.08 s, 343 ft. (5) 5.92 s, 492 ft.(6) 6.62 sec., 589 ft.
Braking, 60-0 mph: 115 ft. 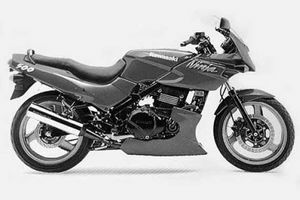 The motorcycle also appears in the 1994 action film True Lies. 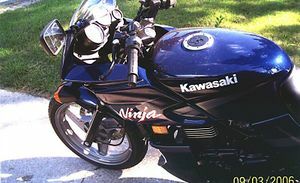 Jessica Alba rides a black Ninja 500R throughout the TV action series Dark Angel.